Termite problem can only be solved by a pest control professional and not just be using a Do-It-Yourself method. Utilising the expertise and experience of a professional termite extermination company can help you in your particular needs to find safe, effective and eco-friendly solutions. Enviro Pest Solutions can help you create a long-term treatment plan that won’t just eliminate your termite problem but also helps you to avoid them from coming back. If you’re living in Hornsby, Ermington, Marrickville, Mosman and North Sydney council service areas contact Enviro Pest Solutions to take advantage of the cost and time-effective solution to your termite problem that will help protect your home and your family. If your household is suffering from termite infestation and goes untreated for a long period of time, the results can be horrifying. 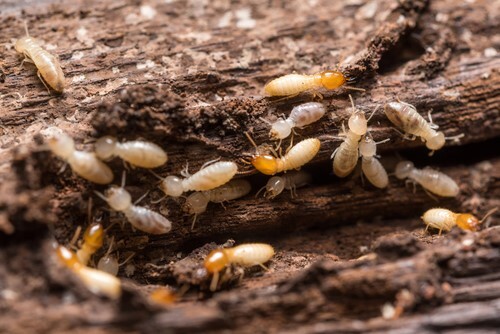 Termites can do anything from eating through your furnishings, wood floors to chewing significant part of your house’s foundation, destroying its structural integrity. The damage can also occur in your ceilings and walls as the result of the presence of the termites. This can affect the value of your house and also troubling for any residents living in a termite infested house. If you’re having trouble with termites, call a professional pest control for help. Contact Enviro Pest Solutions today!